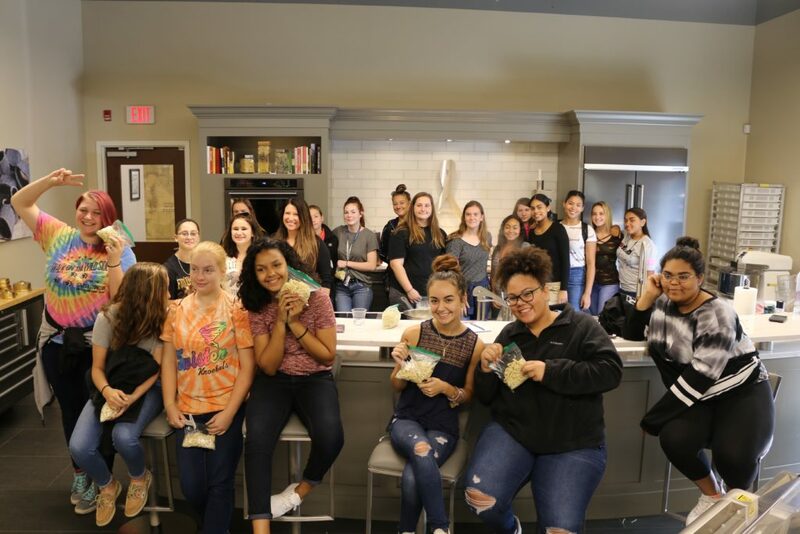 We were graced by two groups of girls from McCaskey High School and Conestoga Valley High School on Thursday. The group of girls were here to see a behind the scenes look at manufacturing. After they toured Gam Precision’s Machine Shop, they filed into the test kitchen to see what Arcobaleno was all about. Their eager eyes and hands quickly progressed into total awe. We demonstrated the AEX10 Pasta Extruder and how manufacturing can be tied to the food industry. By the end of their tour, they all strutted back to the bus with overflowing bags of pasta to take home as a souvenir.